Pain is our body’s best means of getting attention. Once it has our attention, how we respond deeply affects the outcome of our story. Let’s choose joy! Discover how to connect to life force to appreciate anything that comes your way. Learn to play with the elements of sukha and sthira (steadiness and ease) during pranayama, asana, and meditation to create space and let prana flow more freely, allowing gratitude in. Gratitude in its expanded state is pure joy. Come be inspired! 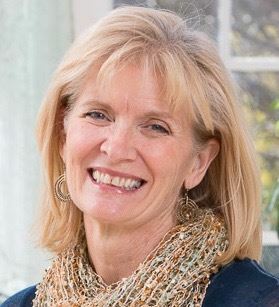 Patty’s personal journey with a painful autoimmune condition is the inspiration for this workshop, which is especially useful for anyone who has physical, mental, or emotional pain. Patty Holmes (E-RYT 500) has been teaching yoga for 20 years and continues to be an active student as well. She is inspired by the teachings of TKV Desikachar, who emphasized a breath-centered, individualized approach to yoga. Her studies with Leslie Kaminoff at the Breathing Project in New York City and her position as anatomy and breath clinic coordinator from 2013–2017 continue to have a profound and dramatic influence on her personal and professional life. She takes great joy in sharing the deep benefits that were passed on to her.